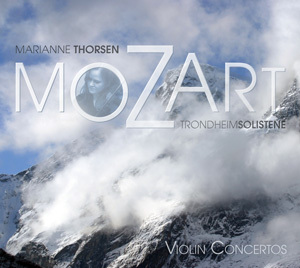 Marianne Thorsen began playing the violin at the age of four at the municipal music school in Trondheim, where Bjarne Fiskum was her principal teacher. She studied with Felicity Lipman in London and later with Gyorgy Pauk at the Royal Academy of Music. In 1994 she graduated from the Royal Academy with a DipRAM. In 1998 Marianne was nominated Young Soloist of the Year by the Norwegian concert institution Rikskonsertene. She won the Carl F. Flesch Outstanding Merit Prize in 1992, the Emily English Award 1995 and the Concours Internationale de Violon de Sion-Valais 2003. Marianne has performed as soloist with leading orchestras including the Philharmonia, BBC Symphony, City of Birmingham, Orchestre de la Suisse Romande, Prague Philharmonia and the Oslo Philharmonic. 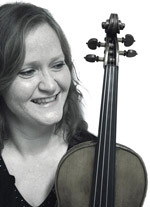 Marianne Thorsen is also a founding member of the Leopold String Trio. In 2000 she was appointed leader of the Nash Ensemble of London.The Nash have released several recordings and has a regular concert series at London's Wigmore Hall. Marianne is professor at the Royal Academy of Music in London and the Department of Music at NTNU in Trondheim. On this recording she plays a Pressenda violin made in Turin in 1841. The ensemble TrondheimSolistene was founded in 1988 by Professor Bjarne Fiskum. As a result of many concerts throughout Europe, USA, Japan and Brazil, TrondheimSolistene has grown to be an ensemble of international renown. TrondheimSolistene's recording of Vivaldi's Four Seasons with Anne-Sophie Mutter on Deutsche Grammophon has been praised all over Europe. The orchestra collaborates regularly with soloists such as Leif Ove Andsnes, Martin Fröst, Joshua Bell, Anne-Sophie Mutter and Ole Edvard Antonsen. 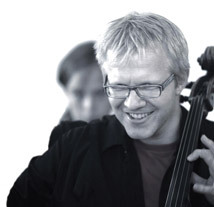 Øyvind Gimse was appointed artistic director of TrondheimSolistene in 2002, continuing the ensemble's broad programming profile and musical versatility. Following studies in Oslo, Munich, Salzburg and Vienna he was assistant principal cellist with the Trondheim Symphony Orchestra from 1991-97. Gimse is currently assistant professor for string instrument studies at the Department of Music in Trondheim. In an international blind-test 34 out of 50 listeners chose Marianne Thorsen and TrondheimSolistene as their favourite, over established references in Mozart's violin concertos! With this recording we wish to present a fresh version of the most elegant violin concertos in the history of music. While respecting the origin and tradition of this music, we have sought a new and dynamic musical experience rooted in our present time. To us, Mozart is as solid as rock, as soft as snow, and as clear as ice; this recording embraces the listener in a sonic world that invites him or her to participate actively in the experience, in close and mutual interaction with the soloist and the orchestra. Only in this way can we genuinely express our love of Mozart's music.